Ken Johnson of the Colt .45’s. 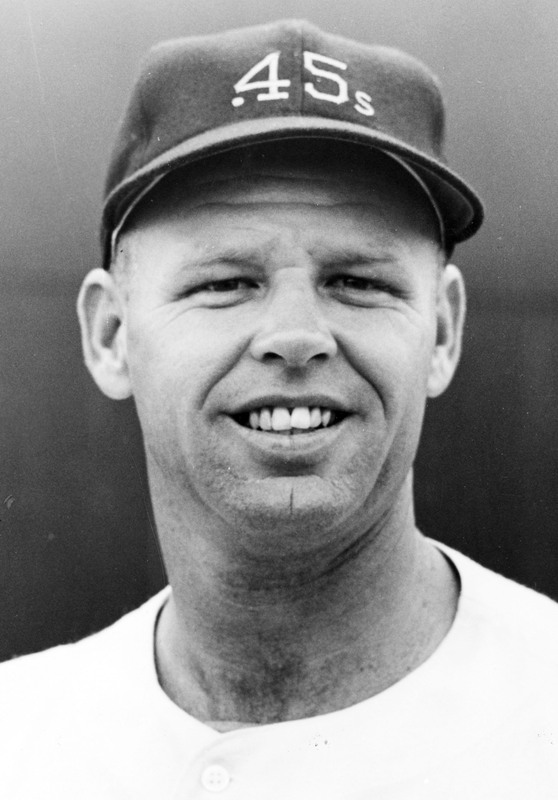 Ken Johnson, the only major league pitcher to throw a nine-inning no-hitter yet lose, died Saturday in Pineville, Louisiana, at the age of 82. I had the honor of interviewing Johnson on May 2014 as I was just beginning to write Baseball’s No-Hit Wonders. He talked with me about that April 23, 1964 Houston Colt .45’s game against the Cincinnati Reds at Colt Stadium, in which he threw nine innings of no-hit ball yet lost 1-0. The Reds clawed for that run on a ninth-inning bunt attempt by Pete Rose in which Johnson threw the ball into the outfield (it apparently wasn’t taboo to bunt to break up a no-no back then). After Rose advanced to third on a ground out, Vada Pinson stepped to the plate and hit a routine two-out grounder to second that was booted by Nellie Fox, allowing Rose to score. The game remains the only nine-inning no-hitter lost by a single pitcher. The Orioles tandem of Steve Barber and Stu Miller duplicated the feat three years later. Johnson seemed touched that someone still wanted to talk at length about that game. “I can’t believe anyone still remembers,” Johnson told me. We do remember, and we mourn the loss of a kind and generous man. Memorial services are planned for Tuesday evening at New Life Community Church in Alexandria. In lieu of flowers, donations may be made to the church.